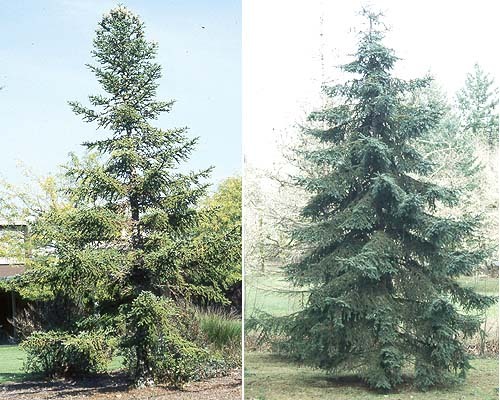 Conifer, evergreen, to 65 ft (20 m), broadly conical, branches in regular whorls, usually forming a symmetrical crown. Needles radially erect, stiff, thick, 8-15 mm long, very sharp-pointed. Twigs brownish-green, hairless. 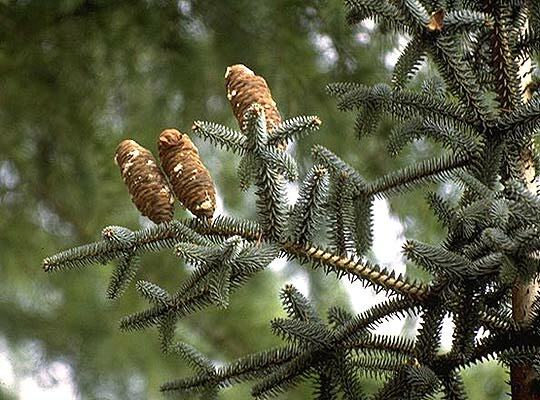 Cones cylindrical, erect, 10-15 cm long. Hardy to USDA Zone 7 Mountains of southern Spain, between 1000 and 1800 m.
A. p. subsp. 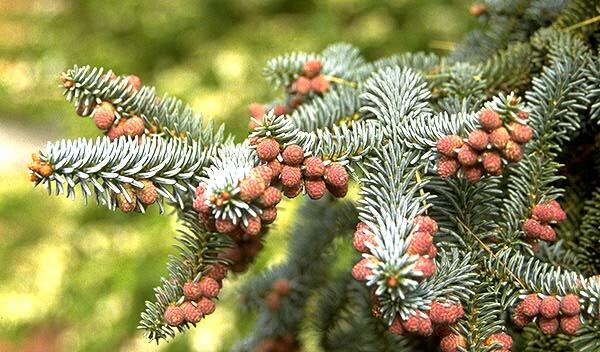 marocana (Moroccan Fir) - has flatter, wider needles, and larger cones than typical Abies pinsapo. 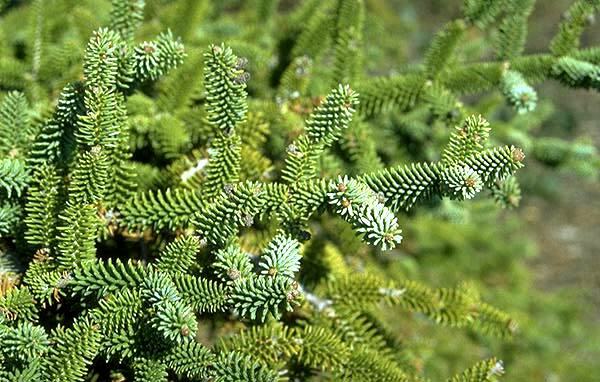 pinsapo: old Spanish word meaning pine-fir, pino(pine) and sapino (fir). 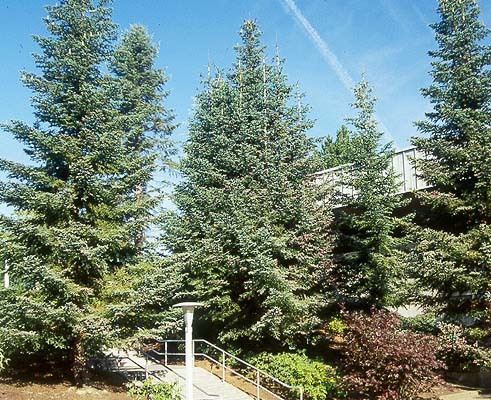 Or possibly short for pinus saponis, soap-fir, since twigs crushed in water yield a kind of soap (Jacobson, 1996). Oregon State Univ. campus: east side Gleeson Hall.